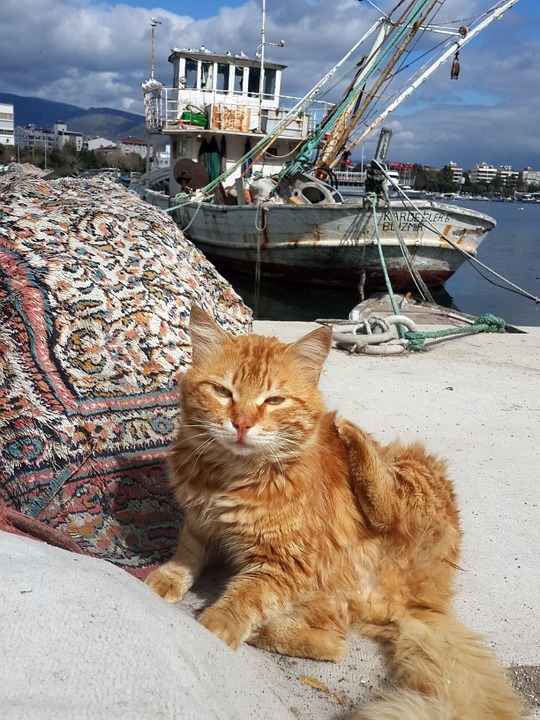 Traveling cat spotted at the port of Izmir, Turkey. 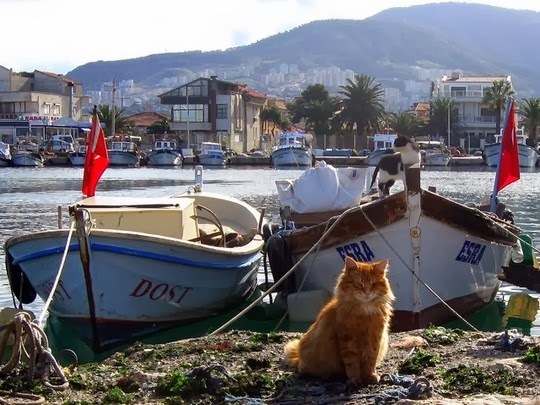 I almost didn't notice the black and white kitty in the boat. Looks like he's anxious for the handsome orange guy to hop in so they can get going. Love this one. I didn't notice the black and white cat either. What a gorgeous moggie he attracts one's attention instantly. I remember all the cats in Greece wherever one went. Is he waiting for some fish? What a beauty. And such a pretty picture. Wow, that is one big cat and a beautiful picture. I would like to visit Turkey someday. Found you via the Thirsty Thursday hop. "This fisherman is late again. Lazy... We have to make a little talk with him". Now that's a GOOD pic! Great photo, two adorable kitty cats. Such a nice looking kitty! Le rouquin est magnifique, et le paysage aussi. On dirait vraiment qu'il y a une majorité de chats roux sur cette terre. I love your blog. Through you I get to travel around the world. Thanks. Cheers!! what a gorgeous cat, love it's coloring! Well look at that handsome boy, enjoying the sun! BTW I showed your blog to my little sister, who is in love with all things cat. She loved the idea of traveling cats! Une belle carte postale d'Izmir !